Now that the iPad has been released, web developers and designers alike want to know which apps are worthy of their fingerprints. To help make the search a bit easier, I’ve compiled a collection of 20 creative iPad apps that should prove quite useful for web designers, graphic designers and anyone with a creative mind. We’ll take a look at applications that will help you get your sketch on, interact with your sites, check stats, brainstorm and even a game or two. 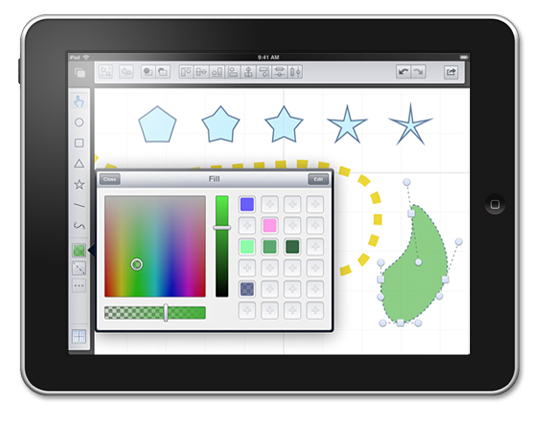 Adobe Ideas is your digital sketchbook, letting you capture and explore ideas anywhere you go. 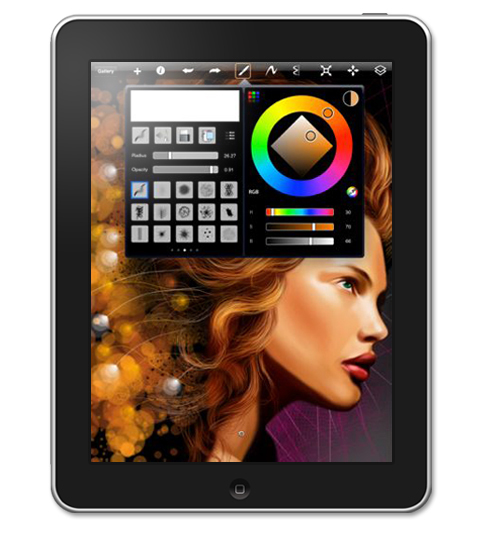 It’s an ideal companion for the professional design applications from Adobe, including Adobe Illustrator and Adobe Photoshop software. 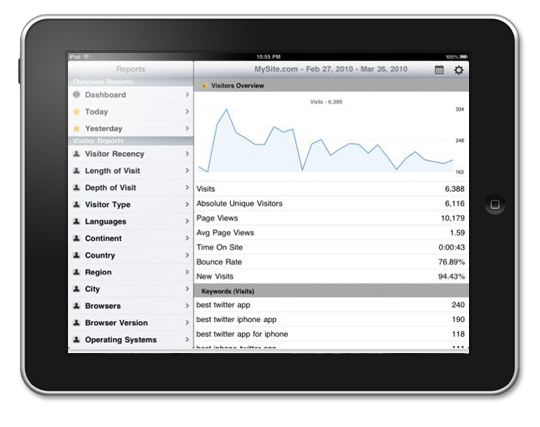 The premier app for Google Analytics, Analytics App, now debuts on the iPad as Analytics HD. See charts and reports like you’ve never seen them before, and share them in a meeting with full screen charts. 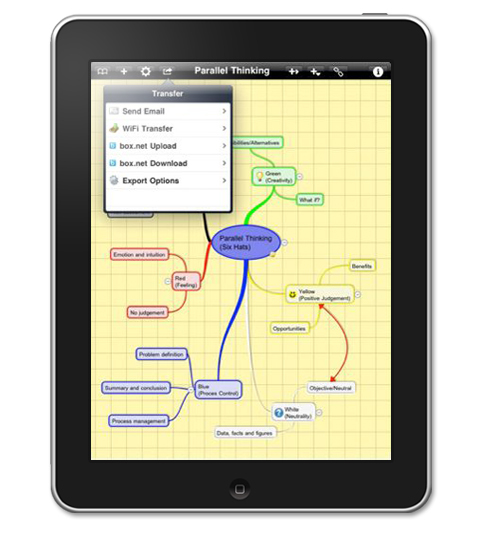 iThoughtsHD is a mind mapping tool for the iPad. Mindmapping enables you to visually organize your thoughts, ideas and information in an easy to use interface. It is based on and compatible with iThought for the iPhone. Freeform is a simple vector drawing tool for sketching quick doodles, creating fun drawings or designing simple diagrams and illustrations. You can save the images you create to your photos library or email them to yourself. 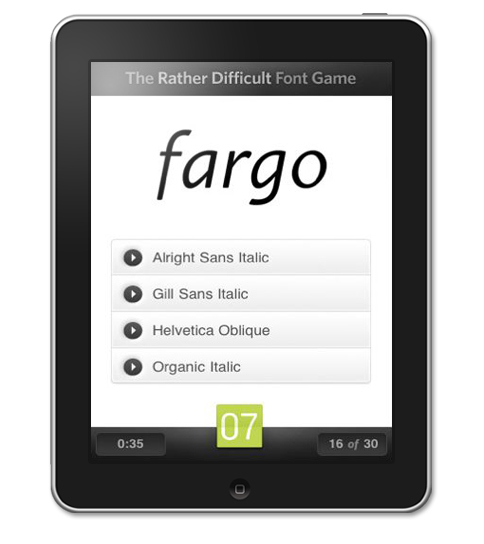 From I Love Typography comes the long-awaited, definitive Font Game for the iPhone, iPod Touch and iPad. Guaranteed to be absolutely the most fun you’ll have with fonts anywhere, any time, any place. Over 600 font specimens included. Things is a beautifully focused and amazingly intuitive task manager. Effortlessly manage to-dos, notes, due dates and projects. 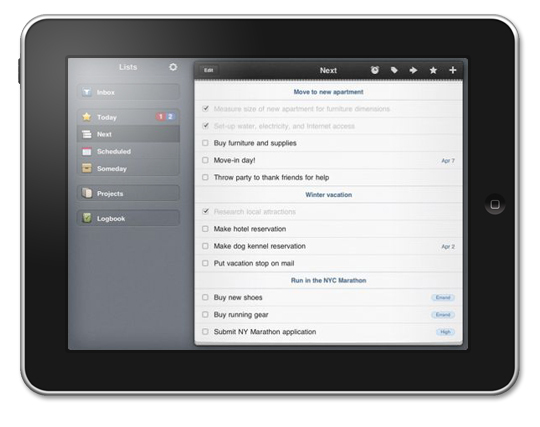 A smart today list and the scheduling feature allow you to work as effectively as possible every day. 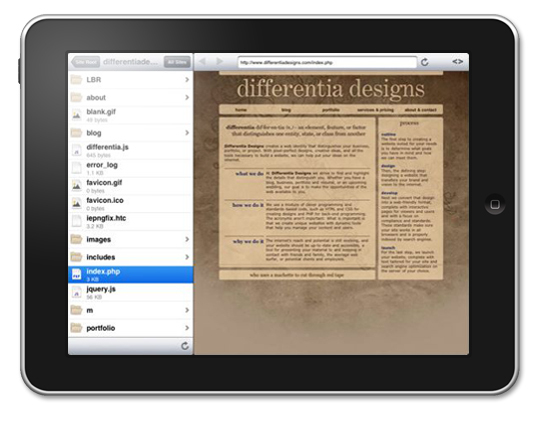 Gusto was created to embrace the workflow of web development on the iPad. Open your project and download multiple files and folders at the same time from your FTP server. After editing, preview your document locally to quickly see your updates. Markup for iPad lets you connect to your websites and edit the text files within them. Download, edit and upload text files such as HTML, CSS, PHP etc. Preview the pages you edit and test them without ever leaving the app. Stylish, powerful and easy to use. Penultimate encourages you to take notes, keep sketches or work through your next breakthrough idea. Seperate notebooks for each topic, project or category. Three different photorealistic paper styles are included. Twitterrific is the friendly, award-winning Twitter client that’s beautiful to look at, easy to use and full of elegant features. 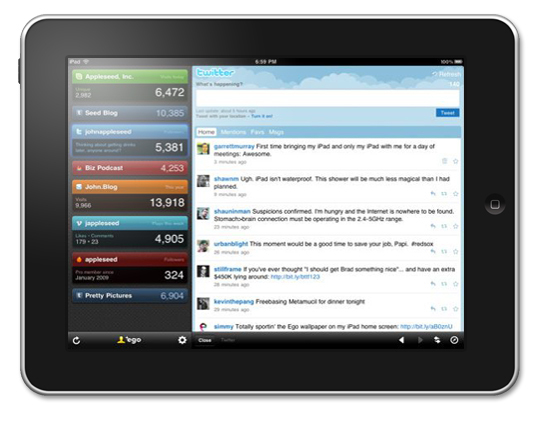 Effortlessly read and compose tweets, search Twitter.com, filter message types and much more. 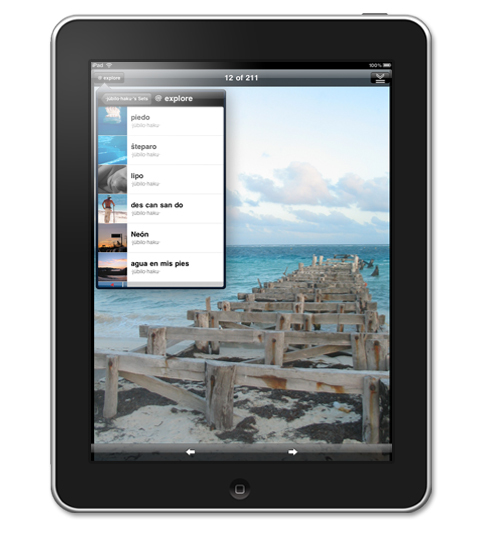 FlickStackr brings Flickr photo sharing to the iPad. It allows you to browse photos in the Flickr universe, whether you are a Flickr member or not. Includes full screen browsing, in depth search, sharing photos via email and more. 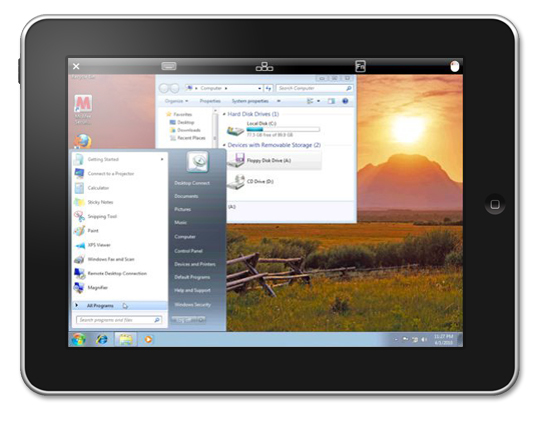 Desktop Connect is a fast, full-featured desktop viewer. View and control Windows, Mac OSX and Linux computers as if you were sitting in front of them, or observe others as if you were watching over their shoulder. It’s easy to manage your WordPress blog from your iPad, iPhone or iPod touch. With the WordPress OS, you can moderate comments and create or edit posts and pages. All you need is a WordPress blog or a self-hosted blog running WordPress 2.9.2 or higher. 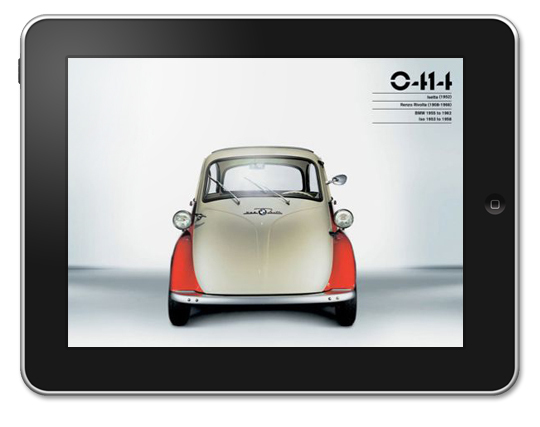 This authoritative and meticulously researched collection charts the story of product design over the past 200 years. It was years in the making and was compiled via a rigorous selection process by an international panel of design-world insiders. 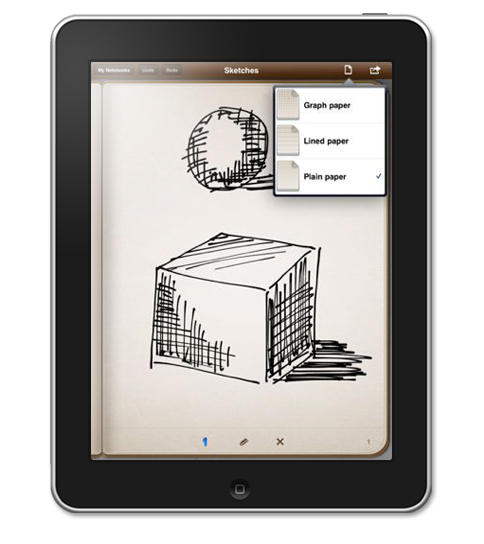 Autodesk SketchBook Pro for iPad is a professional-grade paint and drawing application. 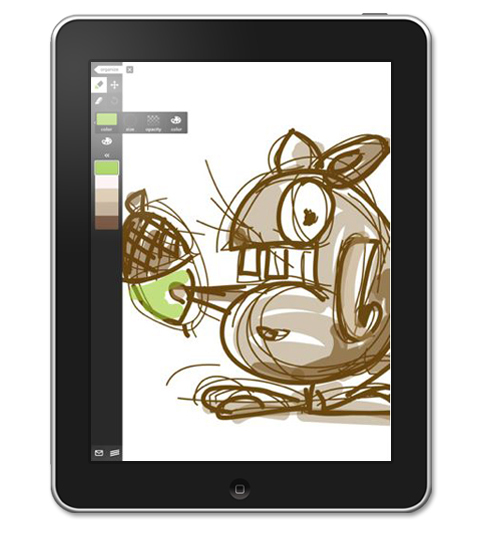 Using the same paint engine as its desktop counterpart, Sketchbook Pro Delivers a complete set of sketching and painting tools through an intuitive user interface. 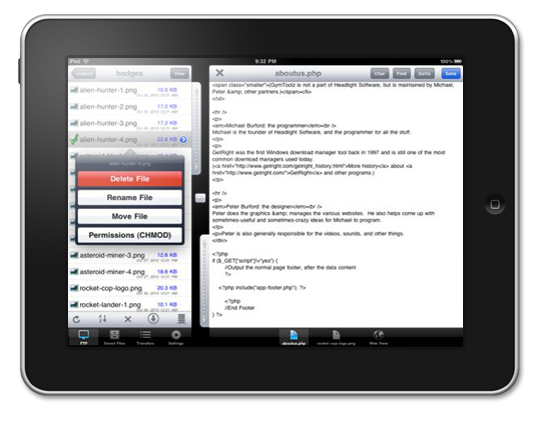 An FTP client for the iPad. All the features of a desktop FTP client and more, all in an easy to use powerful package. 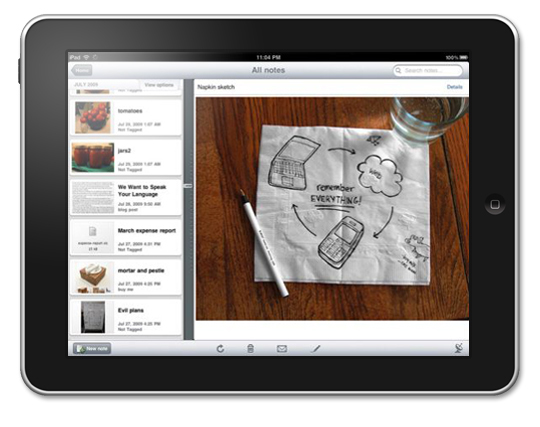 Pro features enhanced iPad support, letting you fully take advantage of the iPad’s large touchscreen. Works on your iPhone or iPod touch too. Evernote turns the iPad into an extension of your brain, helping you remember anything and everything that happens in your life. From notes to ideas to snapshots to recordings, put it all into Evernote and sync to your Mac or Windows desktop. Ego for iPad builds on everyone’s favorite web stats application and adds a new detail view that lets you dive even deeper into your stats. Services supported are Feedburner, Ember, Google Analytics, Mint2, Squarespace, Tumblr, Twitter and Vimeo. Need to create a quick diagram, process chart, page layout, website wireframe or graphic design? 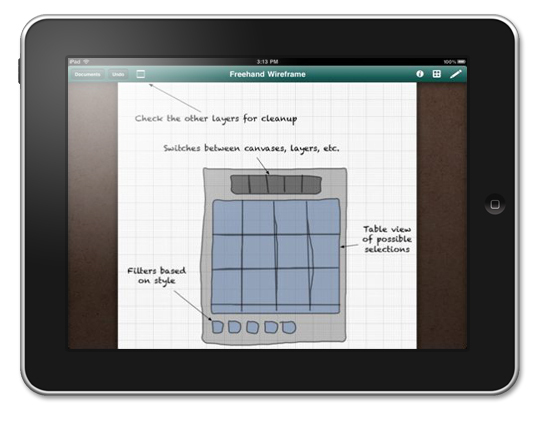 With OmniGraffle, your iPad touch screen is your canvas (or graph paper, or whiteboard, or cocktail napkin…). Wait, this is a game that has nothing to do with web development or design. Exactly! We all need to step away from our work a bit and have a little fun. 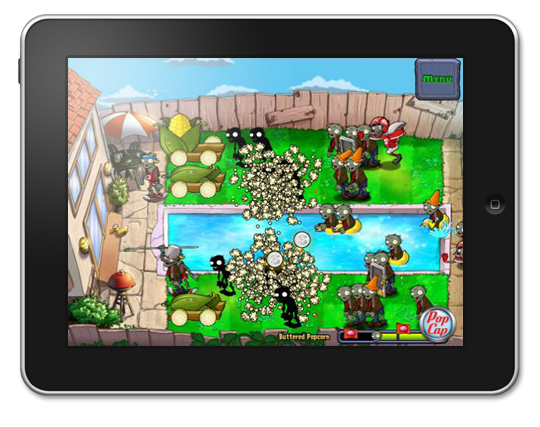 Plants vs. Zombies HD is the perfect game to escape the design world and enjoy ourselves a bit. It seems like every time I swing by the app store, there are a handful of new apps just released for the iPad. Developers are scurrying to get a piece of the pie and to our advantage. Have you found a new iPad app that should have made this list? Let others know in the comment section below. Very nice article, a few I missed in the past. I would also add Synotes Slate (note/task app with sync) and Digital Post, a newspaper-type reader from many news sources (great UI). I’m glad I could point out a few to you and thanks for the recommendations! Thanks for sharing these creative apps. Not really familiar with some of the apps though most really looks amazing. Penultimate looks amazing. I plan to get an iPad soon, so this list has come in quite handy. Great job! I bet you’re excited to get that iPad. They really are amazing. Thanks Ericka! Nice article I really like desktop connect. However i am curious, why Penultimate? I see it always gets high reviews but compared to upad or notes+ it is really lacking. I own all three and a few more ;-) But upad and Notes+ are much better. Nice list! Going to look at Gusto and iThoughts HD. Check out Taska before Things. Taska syncs perfectly with Toodledo premium after yesterday’s update. Taska is so much more and a lot le$$ compared to Things. iPhone Taska is awesome too! 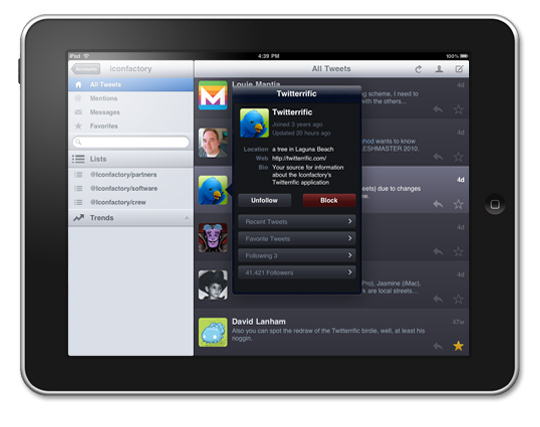 Twittelator Pad is the best Twitter client for my needs and it keeps improving! Connects to readitlater and instapaper. MindNode is easy and clean mind mapping app. Really like the sharing/export features. Awesome, three more great apps for the collection. Thanks Samantha! Great collection of apps. I love the way you presented them. I’m definitely looking into SketchBook Pro. I didn’t want to just take a bunch of screenshots and present them. I thought it would be a lot better to view them inside of an iPad. I’m glad you liked the presentation of the list. SketchBook Pro is pretty cool! This list makes me want an iPad even more! Picking up one this weekend. Can’t wait. Congrats Joe! Beware, you want be able to put it down for at least 10 days. Thanks for commenting. Have you actually used Desktop Connect? If so, then you wouldn’t be recommending it. iTap RDP is best for Windows connectivity (all actions done via gestures) and iSSH is best for VNC (and includes SSH functionality too). Yes Bubba, I have. The problem with iTap RDP client is that it is for Windows only. Desktop Connect supports Windows, Mac OSX and Linux. I thought it would be best to feature one that supported multiple operating systems. Since my readers use all three operating systems, iTap would only help a handful of them. While some have claimed that Desktop Connect operates slowly, I believe the latest update (April 12) addressed these issues. Have you tried Desktop Connect? On the flip side, iTap RDP looks like a promising app for Windows users and I appreciate you sharing it with the other readers. I own Desktop Connect and I haven’t had any problems with it at all. I have a Mac, so the iTap RDP client that Bubba recommended wouldn’t do me any good. Great roundup Shawn! I love the incorporation of Plants vs. Zombies HD at the end. I have it on my iPhone and love it. You’re right, we need to step away from our work from time to time. Love your selections. Penultimate is awesome. 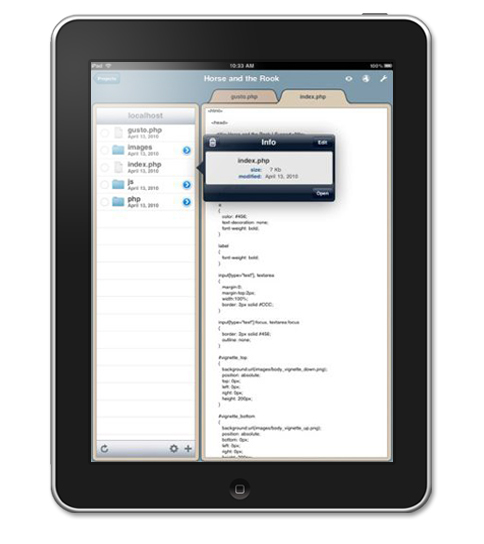 I’d add SkyGrid (fantastic free news-by-topic aggregator), GoodReader (PDF/media viewer that is excellent for bringing files wirelessly into your iPad), and TapType (typing teacher/trainer for iPad — very helpful for getting better with the virtual keyboard). Okay, so I really haven’t wanted to get an ipad till I saw this post. This could really be an incredible tool for designers and developers. I absolutely love these apps. Thanks! Great Post! Now all I need is an Ipad. Nice selection. I’d add iMockups which wil certainly be one of my first buys when iPad (finally) gets to France, and iTeleport looks nice too. I’ve been looking at Gusto, Markup, and FTP on the Go. Do you find you prefer one over the others? Yeah… that’s what I’m interested in. Which of these apps is the good one? How much design, development & coding can I do with just my iPad? Nice list! I didn’t know there was an Analytics app. I’m downloading it now. Let me know if you do a list of the best iPad web apps (html5). I like Google’s gmail web app more than the native Mail. You might want to check out MedCommons Prototyper also. Thank you for so many useful and practical apps. Many of these will prove useful for me….DEFINITELY!!! Thanks again. it is Quicker an easy way of image retrieval through unique photo and video tagging. Tagging options include personalized keywords, ratings, favourites, or type of media – photo or video. Tapping on a tag provides instant results so that we can further refine our search with additional tags and keywords. These are sweet apps! I’m currently working on building some of my own. I firmly believe that the iPad’s future is secure with the use of the device as a business tool, such as with the 2X Client for iOS (http://www.2x.com/virtualdesktop/ios)…it’s a free download and lets you use Windows apps from your iPad, giving you application publishing and RDP Remote Desktop capabilities for free, in contrast to the Citrix Receiver and Wyse PocketCloud. Definitely worth a look. Oh yeah, I love Coda! Hopefully they’ll do it and soon. I just know I will end up camped outside my local Apple store on 25th March (release date for UK). I’ve never owned an iPad previously, so I have decided to go for the iPad 2. A couple of apps from your post look fantastic. The ‘desktop connect’ app looks amazing; It appears I will be able to RDP into my windows 7 PC. Also, the ‘Things App’. I’ve just finished reading ‘getting things done’ by David Allen. Sounds like this App will help me implement the methodogies David talks about. Any more app updates will be gratefully received. Is there an app to develop and deploy iPad apps through an iPad? Useful, well commented list, thanks for the hard work! I found an ebook for anyone here looking for steps on how to make an app. This saved me a TON of online research & I truly recommend it to anyone just getting started. http://www.ipadappebook.com I’m just getting ready to develop my 1st app this month. Art Studio is a great one! What a selection of great apps! I will definately be loosing a few hours playing with these. Does this mark the beginning of new uses for the iPAD? Great selection, but i prefer Adobe Ideas. As a graphic designer, i love being able to whip out my iPad to sketch ideas while i’m on the go. Also, AT&T’s 4G LTE network has great coverage here in San Francisco! I want to be able to create a flyer or advertisement with text, price tags, and my own photos with color that looks polished. I would like to post to Facebook or send via email to customers. I am using an iPD mini. What app would be easy to use?